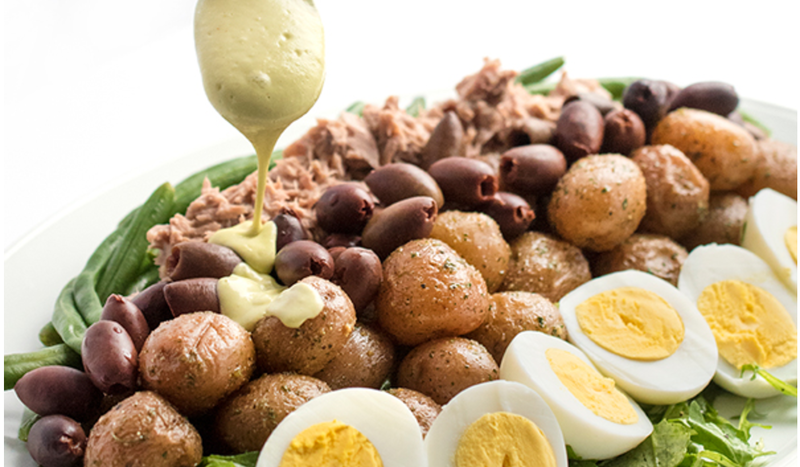 This protein-packed tuna niçoise salad is drizzled with a rich and creamy avocado green goddess dressing. 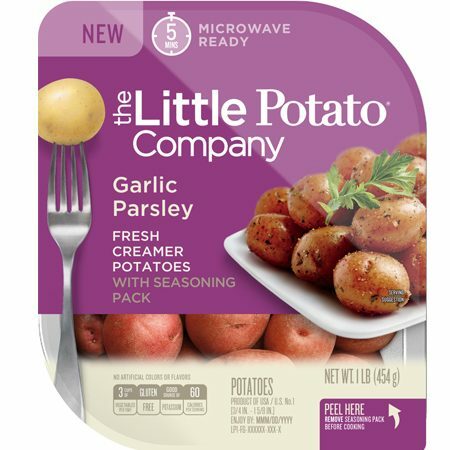 Prepare potatoes according to package instructions and set aside. Scatter arugula leaves on a large platter and top with prepared potatoes, flaked tuna, eggs, olives, and green beans. 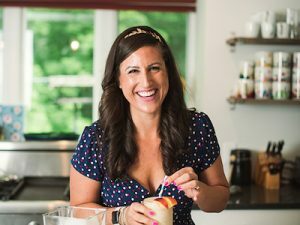 In a high-speed blender or food processor, pulse together the avocado, lemon juice, garlic, salt and cayenne until smooth and creamy. Drizzle over the tuna niçoise salad to serve.